12th May, Manila: Carl Lim of SCTBA captured his first-ever title with victory in the Men's Graded Masters finals of the PBF 2nd Philippine International Open while Noelle Campos of TBAM-Prima successfully defended the Ladies' Graded crown. Archie Nabas of CLTBA did the early running by leading the first two games with 262 and 177. Lorenz Tugade of Prima-Cuisiniers was second before Mar Serac of TBAM-Prima took over second spot. Serac moved into the lead after the third game and held it for another game before Carl Lim fired two stunning games of 256 and 285 to open up a massive gap of 121 pins over Serac. Nebas was running in third and Marc Matias of PBAP-Jackson Tours in a close fourth. Lim was on a hot streak reeling in 236 and 248 in his next two games. Although the 26-year-old suffered a poor 169 in the ninth game, he defeated Serac, 215-200 in the tenth and position-round game to take victory with 2231. Serac settled for second with 2067, 214 pins adrift while Tugade, who beat Matias, 211-191 in the final game could not overhaul his opponent to finish fourth with 2050, 8 pins behind Matias, who clinched third position with 2058. 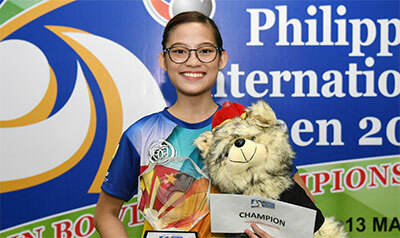 Lim pocketed the top prize of 150,000 Hilippine peso (approx. US$2,800) as champion. Serac and Matias earned 75,000 and 40,000 for finishing first and second runners-up. Meanwhile in the Ladies' division, last year's Ladies' Associate champion and first runner-up of yesterday's Youth Girls Masters finals, Noelle Campos took the title with 1871. The 19-year-old took over the lead at the halfway mark and never looked back. 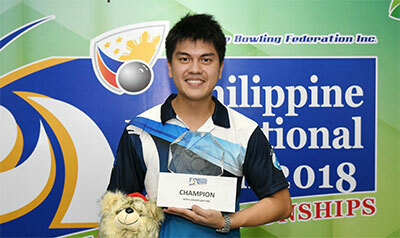 Noel Nuevo of PBA-Nobleland, who had battled over second spot with Malaysia's Linda Grzybowska throughout the finals, clinched second position with 1810, 81 pins behind the champion. Grzybowska settled for third position with 1758. Lovella Catalan of PTBDA and Christine Ocampo of MBA completed the top five with 1757 and 1740 respectively. Campos earned 50,000 peso for her effort while Nuevo and Grzybowska took home 25,000 and 13,000 peso. The Ladies' Open Round 1 finals will be held later in the afternoon at 2.00pm local time. The Men's Open Round 1 finals will be staged at 7.00pm. Competition will resume with the Round 2 finals for both the Ladies' and Men's Open at 10.00am tomorrow.